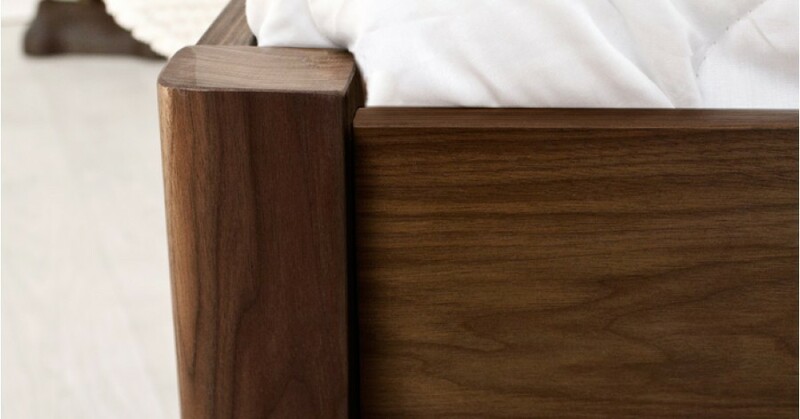 The wooden White Knight (Space Saver) Bed is the efficient counterpart to the original White Knight’s bed frame. The White Knight (Space Saver) Bed is part of our standard height wooden bed frame range, just like the original White Knight Bed. This minimalist design has proven popular for brightening up bedrooms, making them appear more spacious. This straightforward sleek wooden bed frame will enhance spare rooms, guest rooms and master bedrooms alike. The White Knight (Space Saver) bed unique design is able to provide this minimalist style without compromising on the luxurious looking bed frame that has made the original White Knight Bed frame so popular. The White Knight (Space Saver) bed frame has been designed to allow plenty of space underneath the bed frame, which is perfect for any underbed storage boxes you may need. 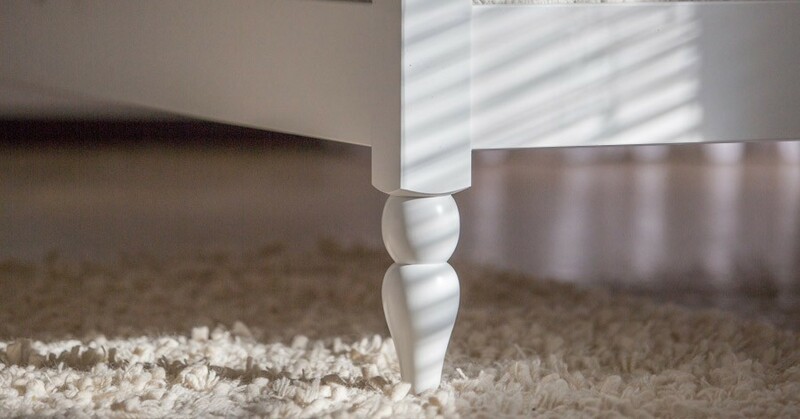 The main difference with the Wooden Space-Saver frame is that take up less floorspace as the bed frame itself is smaller than it would be with a normal standard-height bed. This is because of a difference in the width and length of the frame that means the mattress sits on top of the frame instead of inside it. 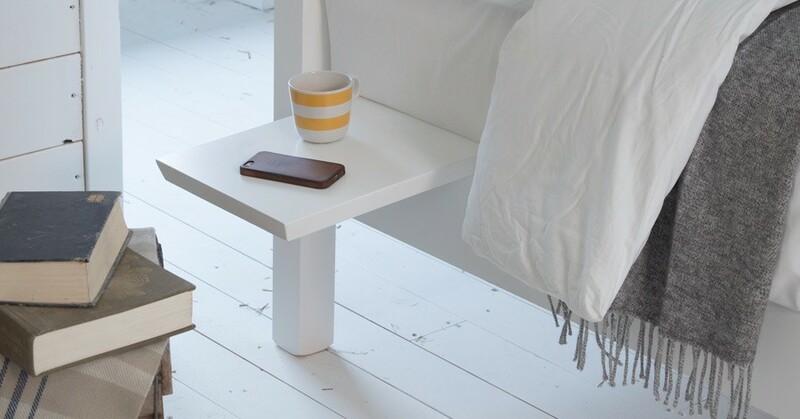 It saves vital room and you won’t have much trouble retrieving things from underneath the wooden bed frame. As we handmake all our wooden beds to order here in the heart of the UK, we are able to make any bespoke changes to the The White Knight’s wooden frame for any size adjustments or design tinkering you may require. 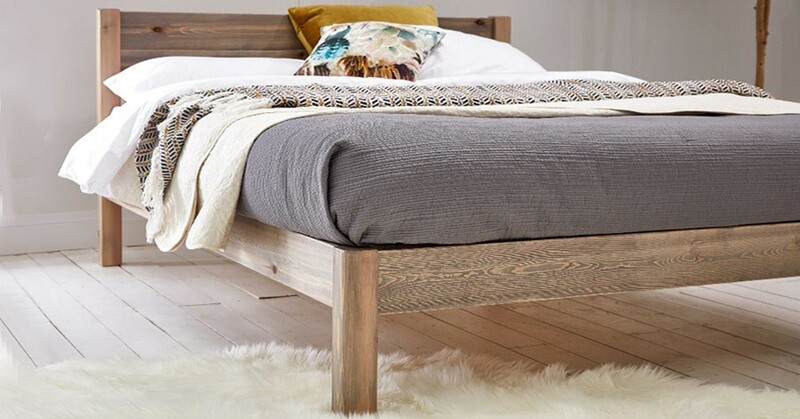 Starting from as little as £75, customising your bed to suit your individual needs is a simple process, giving you the flexibility to custom make your wooden bed to be a perfect fit for your bedroom. As with all of our handmade wooden bed frames we offer the White Knight Wooden (Space Saver) Bed in sizes from the Small Single ranging to a 9ft Super Caesar. We also offer a selection of luxury finishes to compliment the Solid Scandinavian Pine, all of which are finished in a clear satin to give the wooden frame a protective layer. 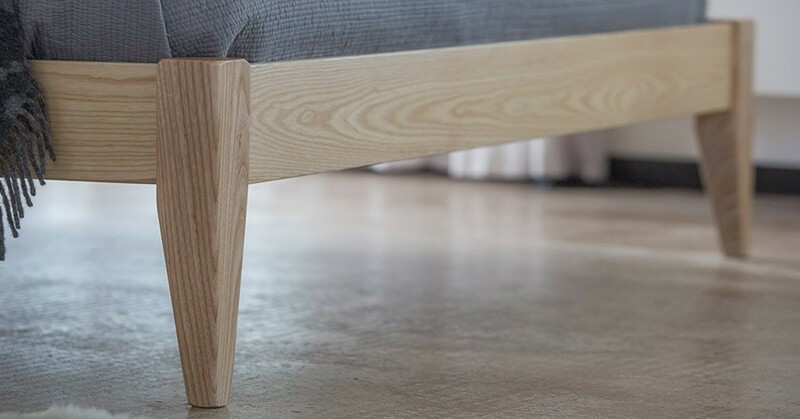 With 10 stains available in Solid Scandinavian Pine, and 8 from having the frame made from our luxury Solid Hardwoods, you’ll be able to personalise your handmade bed to match your bedroom decor. If you wish to discuss making any alterations, then simply give us a call and a member of our team will be happy to help you. The White Knight (Space Saver) Bed frame is the space-efficient companion of our own original design - the handmade wooden White Knight’s Bed. 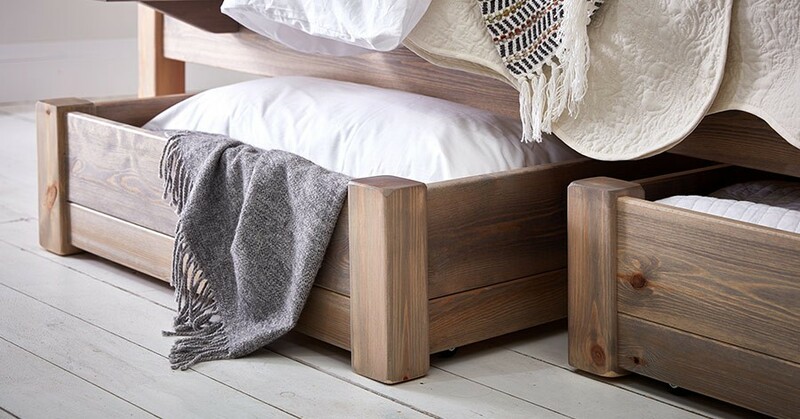 However, it’s not the only bed we offer in our illustrious space saver range of handmade wooden bed frames. If you do like the White Knight (Space Saver) Bed frame but you want a bed that takes up less floor space, and showcases a lower design, then some of these handmade bed frames may just be for you. One of our oldest but most favoured designs is the wooden Low Oriental (Space Saver) Bed, and forms part of our selection of space-efficient low beds. 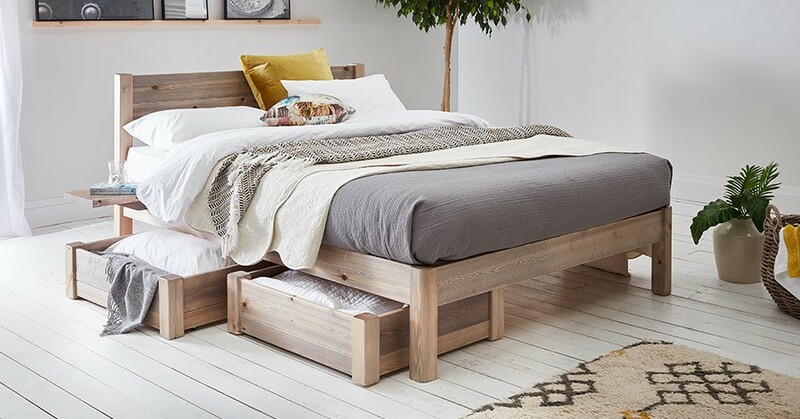 If you are looking for bed designs which have clear space underneath, which isn’t offered in a low bed, then an excellent alternative would be wooden Platform (Space Saver) Bed frame. It’s part of our standard height bed frame range, however doesn’t feature a headboard and like the White Knight (Space Saver) Bed, it’s mattress sits on top of the frame instead of inside. 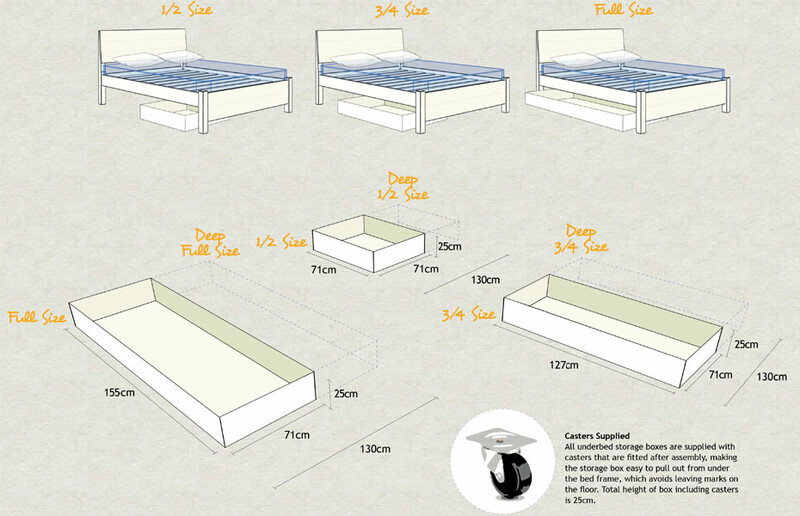 This bed allows for underbed storage, and can fit well into awkward, cramped spaces. It’s a brilliant choice if you’re looking to find a balance between our Space Saver and standard height range.